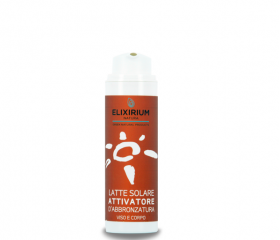 Elixirium Natura :: ELIXIRIUM NATURA - SUN PROTECTION ACTIVE TANNING MILK. HomeElixirium NaturaELIXIRIUM NATURA - SUN PROTECTION ACTIVE TANNING MILK. 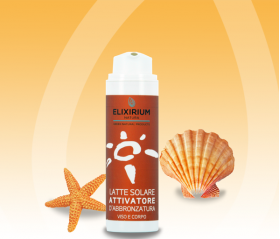 ELIXIRIUM NATURA - SUN PROTECTION ACTIVE TANNING MILK. Emulsion with a delicate scent and from soft and silky texture. 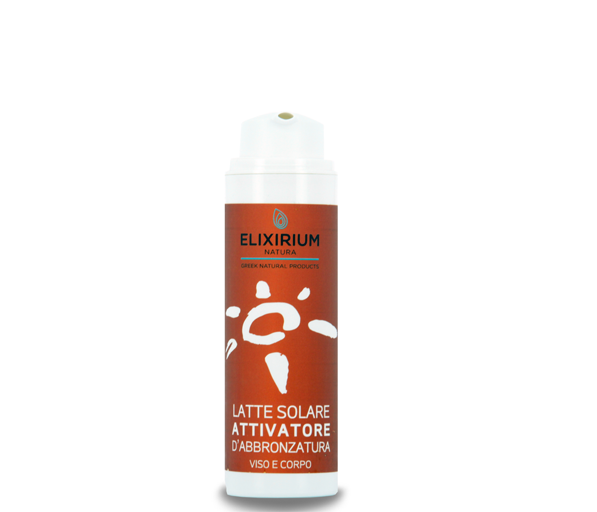 The activator based of Tyrosine stimulates the production of melanin, preparing the skin effectively to sun exposure, for a tan faster and longer lasting. It nourishes and protects gently the skin thanks to its rich composition of selected active ingredients: Monoi de Tahiti - oil that performs an action repairer - Vitamin E, Aloe Vera, Calendula and Jojoba Oil.